I woke up and I knew it was morning. It felt like sunrise. And I could hear the birds tweeting. Cars were rushing by across the street below my bedroom window. Their frequency made me aware that it was morning rush hour – people still had the energy to yell at each other. So I knew. It was definitely morning. I opened my eyes but it made no difference. The darkness was still there. I felt my way across the room and into the bathroom. I heard the tap running and felt the coldness of the water as it ran through my fingers and splashed onto my face. I did not know what it looked like. What colour it had if any. I only knew it was cold if you turned one tap and hot if you turned the other. It was like magic really, something that could be regulated by your very fingertips. Mother helped me get dressed. I could hear her voice breaking and could tell she was holding back the tears. Another year and nothing had changed. I had lost all hope that anything would. She told me I was wearing new clothes – designer ones – and that I looked all handsome and grown up. She was proud of me she said. She had a wonderful boy that all the girls at school would develop a crush on. I didn’t care much about that. I didn’t even know what the girls at school looked like. I barely knew what I looked like. It was my birthday today. But for me it was just as any other day. I was twelve years old and I was blind. I wasn’t always blind. I could see until I was three. Then a genetic mutation took over my optic nerves and I steadily progressed into a life of darkness. I don’t remember much of what it is like to see. I hardly remember the faces of my parents. But one thing I do remember is the sparkle in their eyes whenever they saw me. I hope it is still there even though I can no longer see it. My friends came over for a party. I don’t really know who they are or what they look like. I just know they are as tall as me and have pretty much the same characteristics. I had a birthday cake today. Mother said it was decorated with Spiderman, but I don’t know what he actually looks like so I imagine him to be the coolest superhero there is. The good thing about not being able to see is that you can pretend that everything has a much better appearance than it does in reality. Mother and I play this game where she describes one thing and I describe how I imagine it to be. My version is always better. At least that makes her smile. I can sense she is devastated. She secretly hopes that one doctor was right and I might get part of my eyesight back eventually. But I know that’s not going to happen. I could hear it in the tone of his voice that he simply wanted to give her some good news to console her. 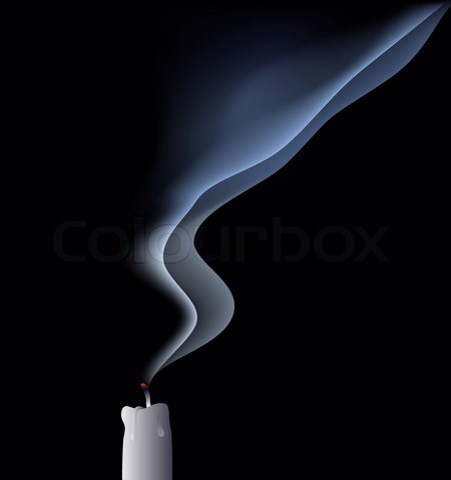 The worst thing about being blind is that on your birthday you cannot even see your own candles to blow them out. Why is it that whenever you are in a hurry or late for a meeting the bus always takes forever to show up, when every other time there is one passing by ever five minutes? Or when you’re all nicely dressed up and in high heels a car drives by and splashes the puddle of rainwater on your new outfit? Or when you think you have finally emptied your to-do list, another million things appear for you to add on it. There is an adage called Murphy’s Law you probably know it: Anything that can go wrong — will go wrong. It usually does. Sometimes due to chance, sometimes due to circumstances, most times due to stupidity and lack of comprehending the obvious. The need to plan ahead and have time to get to your meeting, the logic of not standing by the puddle in the first place, the courage to say ‘no’ and pace yourself. Then again there are somethings that are simply out of your hand. When drowning in tasks you are forced to do and ask for help, you are not responsible if that boomerangs back as a negative answer. For if it is physically impossible for you to work during non-working hours then that is all there is to it. The cost of medical remedy far outweighs any financial remuneration you may receive from daily encounters with persons and situations that only weigh the benefits and not both sides. If people had the good judgement to understand the rationale behind each situation, we would have better communication between us, we would live more harmoniously with each other and misunderstandings would not occur. But they don’t, and we don’t and they do. It is a pity really. Because we then truly start to believe that Murphy’s Law is an unbreakable rule. There is just one thing that it makes you truly wonder though: what really did happen to Murphy? It is said that the power of words lies not in what is said but what is left untold. What in the night tosses and turns you. In the serenity that overwhelms your being. 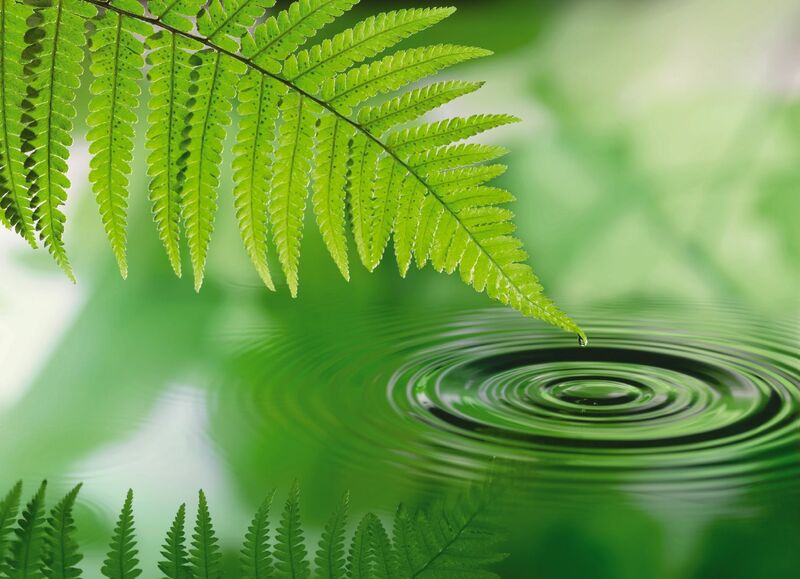 In the calmness that ripples over your psyche. In the tranquility that grips your presence. In the silence of all the things you need not utter. It all started with a strange fortune cookie that she was served at a dodgy Chinese restaurant owned by Koreans. Her friends had chosen to go there because their usual place was being renovated and they thought they’d try this out. She simply agreed. The food wasn’t that bad. 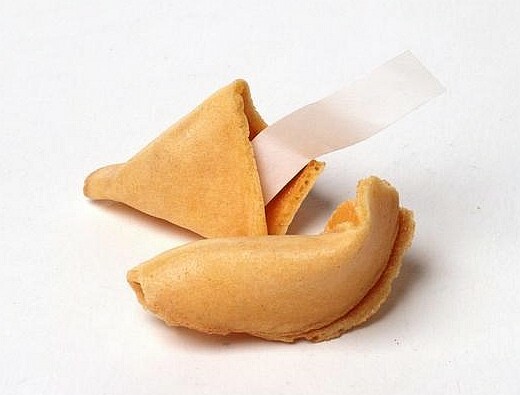 But the fortune cookie, that had a power no-one could have ever imagined. When bad luck knocks on your door, don’t let it in for it will stay long. “What do you suppose this means?” Chloe asked her friends confused and a little scared. “Don’t worry about it, it’s just a saying someone made up. Don’t think too much into it,” was the reply she got from her friends. As she turned the key into the lock and reached for the light switch for the hallway she heard a “tchif!” and the light bulb burnt. “Great!” she mumbled and she entered the living room to turn on the light. The whole house was cold. The radiator had decided to switch off on its own and Chloe did not know how to fix it. She made a note to call the service centre the next morning. For tonight she would have to do with a few extra blankets. “Time for a warm bath and into bed”, she thought to herself as she turned on the tap and stripped to enter the shower. As she finished rinsing out her hair the water instantly turned cold. She tried to regulate it by turning all the hot water on instead, but there was none available. Chloe began to curse. This could not be happening. She stepped out dripping and wrapped herself in a towel. There was no hot water. She made peace with that and went into the bedroom to at least dry her hair. But as she plugged in the hair-dryer and pressed the button the entire power went down. Chloe’s cursing could be heard across the neighbourhood. As she managed to turn on the power, she placed a towel on her pillow and slipped into bed. That was it for tonight, she thought, hoping that Scarlett O’Hara was right when she said that “tomorrow is another day”. 1) You can kick the bucket – but you don’t want to do that metaphorically – literally, however, you may consider it, especially if at the receiving end there is something (or someone) that will help you vent out your anger, given that you still haven’t obtained that punch bag we were talking about. 2) You can always fill the bucket with water and leave it on the edge of your window/balcony. The ‘woosh’ as it falls and the water splashing out into the air as it hits the ground (hopefully not any passer-by) is priceless. 3) You can always use it for what it was initially meant to be used for – that is to fill up with water to be used for things such as cleaning. Just don’t forget the mop, otherwise it’s not much use. 4) You can loan it to a circus. Buckets are a big part of clown acts. You know, one clown steps into the bucket of (usually) paint, and gets stuck, the other climbs a ladder and drops another similar bucket on the head of the other clown, and so forth – you get the picture. 5) You can use it as a basin to contain the water leaking from a broken pipe or a hole in the ceiling that causes your apartment / house to obtain its own little puddle, as those responsible procrastinate in ever fixing the problem. 6) You can use it as a prop in an animated version of the catchy-song between Henry and Lisa – but you might want to open a hole in it first, so as to match the theme. 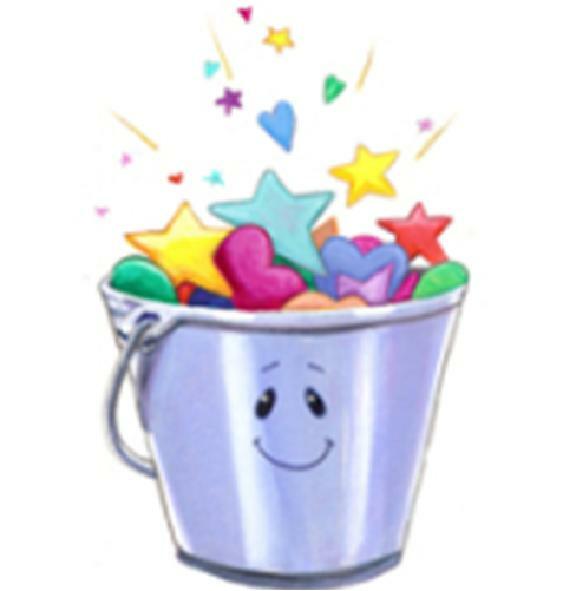 7) You can use it to create your own “bucket list” – it is simple: create any list and place it inside the bucket. There you go! There are many things to do with a bucket – some even involve tearing it apart and using the pieces for e.g. ornaments, etc. – all you need is some imagination! There aren’t many stories about fish. Well, apart from Nemo that got lost and they had to make an entire movie to find him. But he doesn’t really count, because he wasn’t a fish in a bowl. Jerry was a cute little fish. As cute as fish can actually be, that is. He was sneaky too. Because as he stood (?) silently in his bowl hardly moving, suddenly when no-one was looking he would flip out of the water, do a tiny twirl and return to his original position as if nothing happened. And then his owners were left wondering where the water surrounding the bowl came from. They even checked for leaks, but little did they know that their wet pet was an acrobat. Yes, Jerry was a special kind of fish. He learned a lot by watching the National Geographic channel when his older owner was around. He had a clean view of the big-screen HD TV from his bowl, and unless it was really cloudy due to delays in cleaning, he would watch particularly the sea-animals episodes and soak everything in. That is from where he learnt to flip. From watching dolphins. One day, his younger owner, a kid who was as tall as the height of the fish bowl itself, caught a glimpse of Jerry’s backflip. 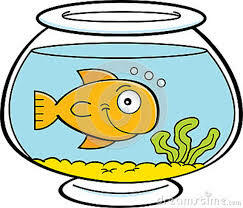 He screamed and yelled all excited and jumped up and down, pointing at the fish bowl, but no-one would believe him. They thought he was making things up. After all he was just a kid. And Jerry was just a fish. But Jerry’s acrobatic stunts became the kid’s little secret. Better if only he knew. Who knows what they would do to Jerry if they knew how special he was! There would be film crews and cameras lined up, and they might even place him in a zoo, or worse yet a museum! And no, the kid didn’t want that. Jerry was his friend. He would stand there and stare at him inside the bowl and Jerry would return a “huba huba” with his open mouth and just stare back. And when the kid pretended he wasn’t looking, he would perform a flip. The kid could swear that one day he saw Jerry wink at him. Imagine if he knew Jerry could also talk!